That time of year is here. The Halloween candy was barely on the sale rack and Turkey center pieces and Christmas trees were already predicating store shelves. With the holiday season upon us there will also be busy days, planning trips, celebrations, and of course eating. Arm yourself with these holiday fitness tips to stay active, lean, health, and energetic throughout the season. When it comes to holiday season eating few people indulge in a nice kale salad with grilled chicken breast. Pretty soon the gym will take second place to the grocery store and mall. A poll by the American Psychological Association found 69% of Americans feel stressed about lack of time and money during the holidays. 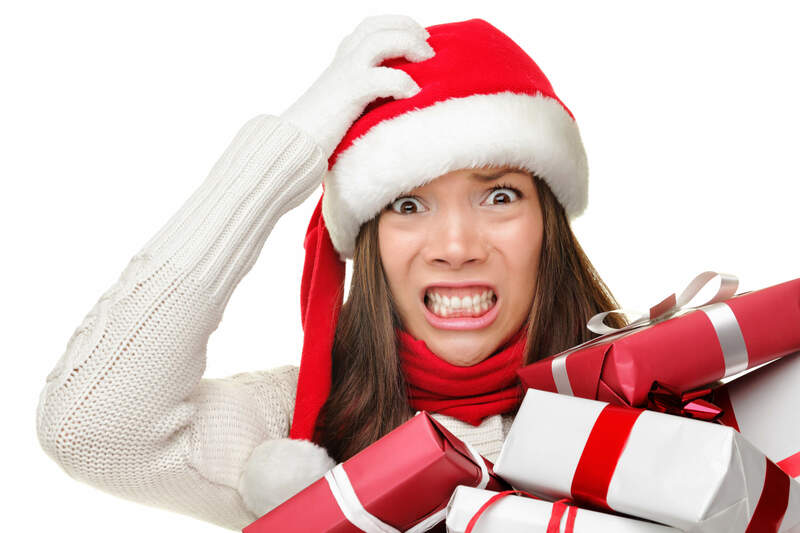 51% are stressed by the pressure of gift giving. Stress can lead to weight gain and health problems. Alternatively, healthy eating and exercise combat stress. More than 40% of Americans make New Year resolutions. However, research done by the University of Scranton found only 8% of people follow through. Let’s look at some tools you can use to stay fit during the busy and heavily caloric holiday season. I get it, you’re busy with work, shopping, and taking the kids to holiday events. Going to the gym is probably way way way down on the list of things you want to be doing. Change your mind. Don’t try to “fit in” your workout. Nine times out of ten you will not fit it in, or the stress of trying to fit it in may just make you forgo it. Instead make the time. You may not be able to schedule a full workout, and that’s perfectly fine. While I want you to do your whole workout, it may not always be realistic. Take the time to make the time. Maybe this means you wake up an hour earlier or you condense a few shopping trips or events to allow time. Another option is to make use of less time by condensing your workout. Check out my previous article on Condensed Workouts. Most of these can be done in thirty minutes or less. If you live in an area with snow, try running in it. Running in snow is similar to increasing the incline of your treadmill. 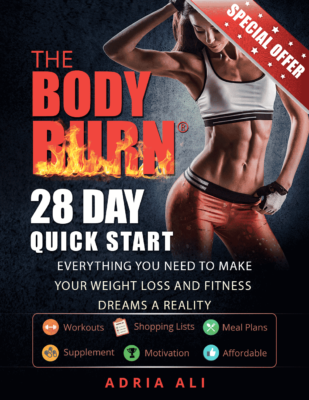 It will recruit more muscles and burn more calories. Look for winter activities like skiing, ice skating or snowboarding. Put away the snow blower, shoveling snow is a very effective form of exercise. * All of you Sunny L.A., Miami, and Southwest readers can click the word snow blower to find out what this mysterious contraption is. Some articles you see will tell you how to make this holiday dish healthier or lessen the calories. That’s fine, but in the real world it’s not always practical. While some (mainly fitness athletes) will do this, or totally forgo holiday calorie bombs, the average person won’t. The key here is to eat for that big meal. Remember, Thanksgiving and Christmas are one day and one meal. On those days though I want you to enjoy all the things you enjoy and look forward to. Use these tips to prepare to do just that. Aim for about 8-10 calories per pound bodyweight. Protein should be a minimum of .5 grams per pound bodyweight, and fat at .3 to 0.5 grams per pound of weight. Keeping your healthy fats high, lean protein high helps to keep you full and carbs low. If you still feel hungry drink a protein shake that offers about 20-30 grams protein with breakfast and two hours after dinner. This shake should also contain less than 15 grams of carbs. On the day of the meal, continue eating this way until it’s time for your feast. *At the conclusion of the day before the fast and right before bed drink a protein shake with a whey/casein blend. You could also choose a non dairy, low carb protein drink. If you don’t have either, good ol’ protein (without carbs) works well also! *Upon waking and for the next eight hours only consume plain water, plain black coffee, and plain unsweetened tea. The key in no carbs and nothing that would spike your blood sugar. *At the conclusion of the fasting window enjoy your meal and minimize the impact of the foods you eat. Chances are your holiday meal and dessert will put you within the 1500-2000 calorie range which is almost a day’s worth of calories anyway. When the holiday is over, resume your clean eating the next morning. Remember, Thanksgiving and Christmas are days, not weeks. Eat for the day. Don’t be swayed by family or friends tempting you with extra cheat foods outside of your two cheat days. Don’t take the holidays off from fitness. While these holiday fitness tips are great for the season, they can also be used for other big events in your life that might throw a curve ball in your diet and exercise routine. I think that even during the holiday season, you should be focused on your nutrition and exercise. You don't want all of your hard work to go to waste for over indulging or relaxing too much. Great tips, thanks for sharing!